Up until now, I’ve only ordered wings from a bar. That’s just what people do. 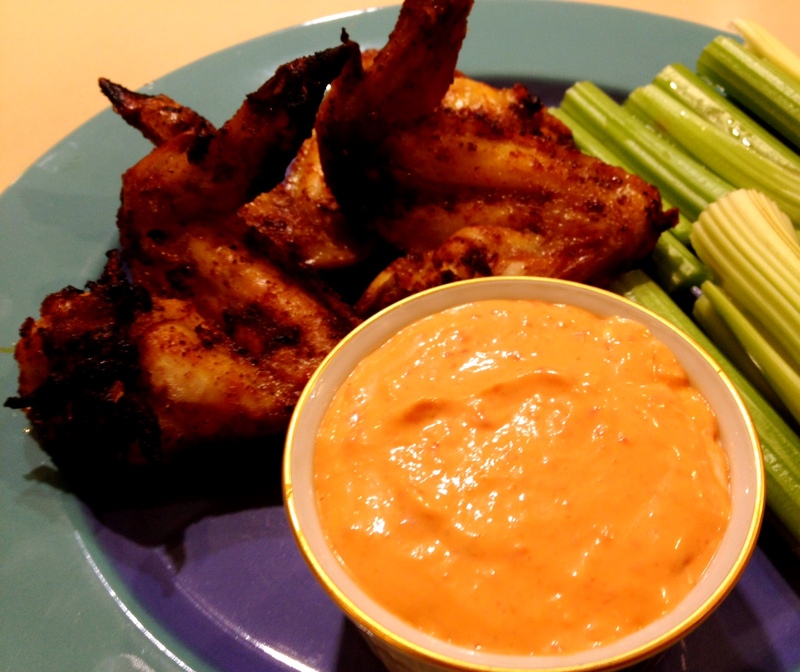 You don’t make wings at home…you eat them in a bar, with lots of beer. Maybe with a gallon of bleu cheese dressing (kidding!). Some carrots and celery too, as an afterthought. 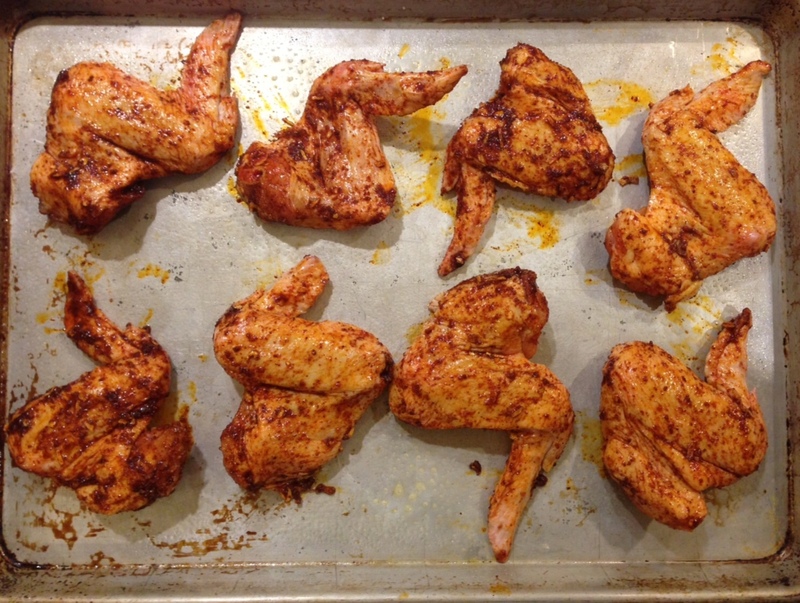 Little wingy’s ready to go into the oven. But, AS USUAL, homemade is better, and way more satisfying. I was worried these wouldn’t go over well with Jordan since they weren’t super spicy and buffalo-y, but Baked Brown Sugar Wings prevailed. 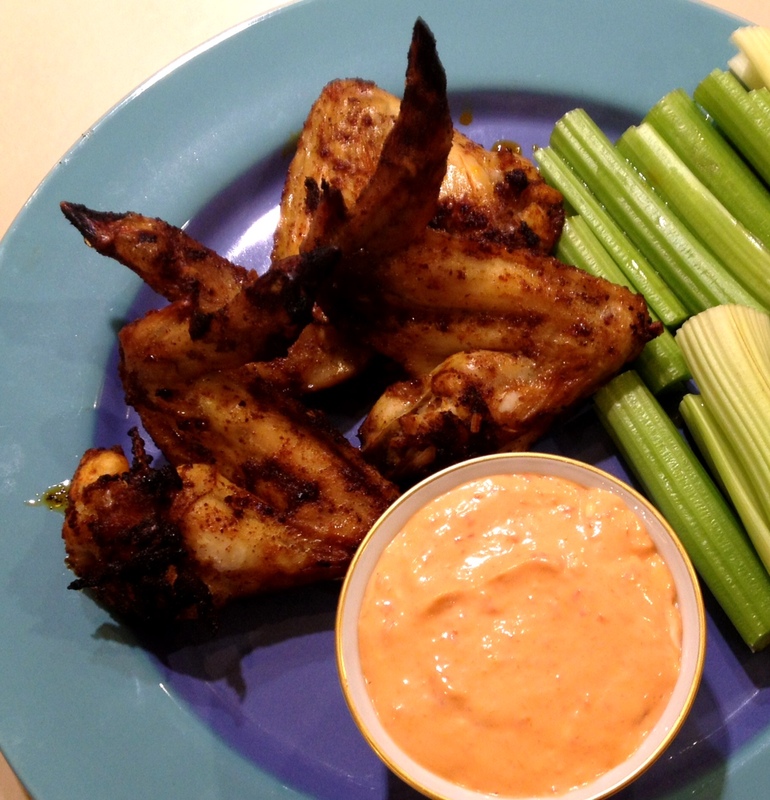 He did, however, add sriracha to his wings after they came out of the oven. It was surprisingly the most amazing flavor combination. Somehow, all of the spices complimented each other so well. The sriracha didn’t taste nearly as spicy as it usually does. 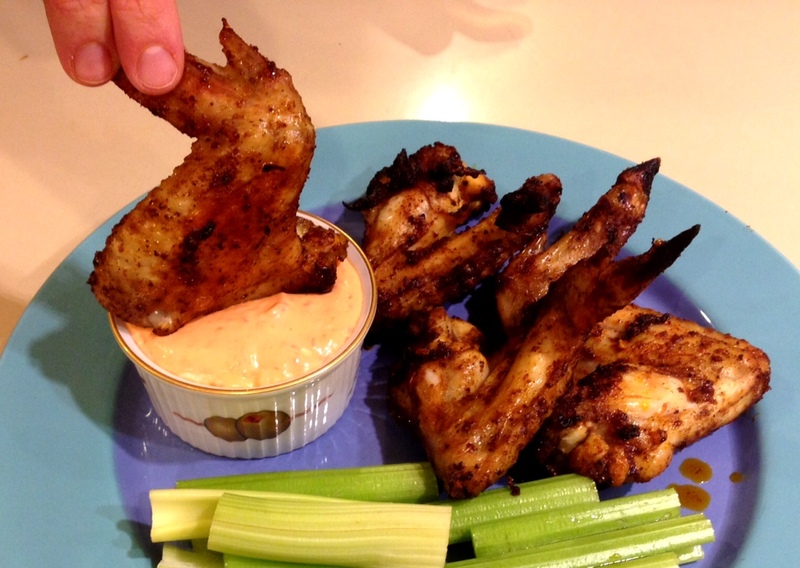 Next time, we will be adding sriracha to the wing coating. And the sauce! Oh, the sauce. Honestly, it would taste good on anything. Crackers, baguette, veggies, sandwiches…YUM! It tasted great on the wings as well. I didn’t reach for ranch or bleu cheese once. Preheat the oven to 425 degrees F. Line a baking sheet with foil (I just sprayed my cooking sheet with pam, things still worked out). they were really good! I want Laura’s yellow curry recipe!